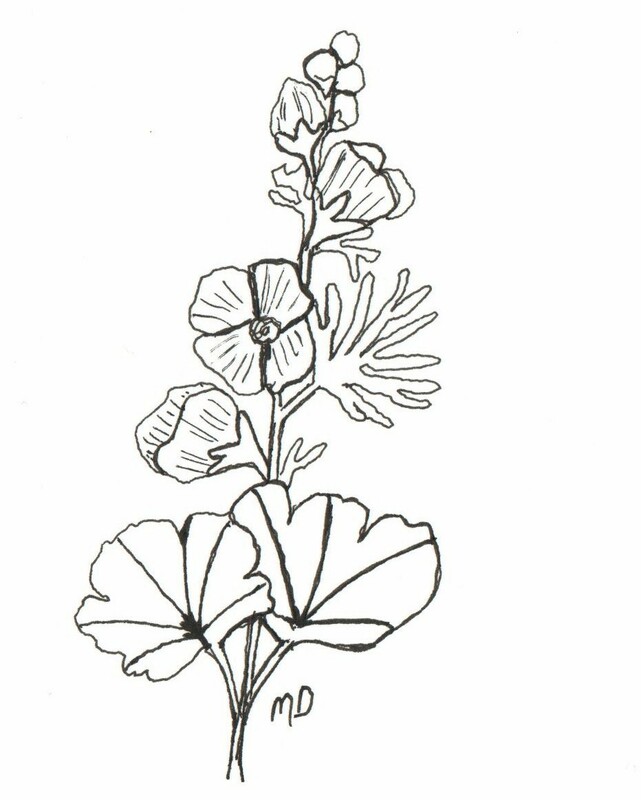 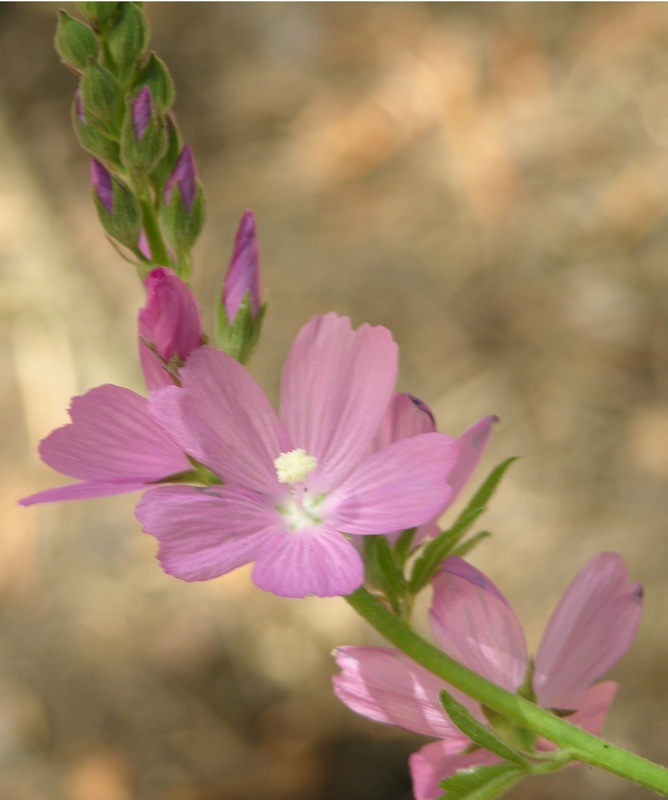 Rose Checker Mallow is native to Washington and Oregon’s Willamette Valley along roadsides, moist meadows, and hillsides, USDA zone 8. 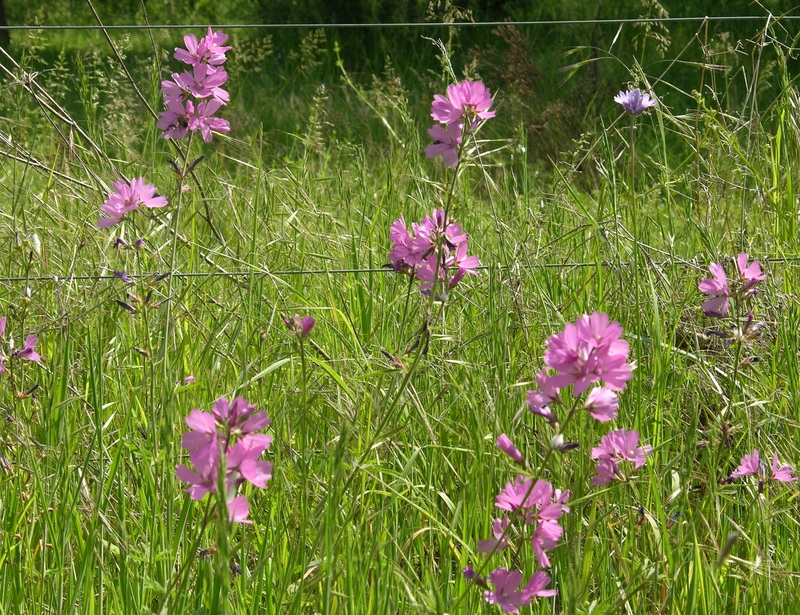 This Wild Hollyhock has loose racemes of rose pink to magenta flowers in Springtime. 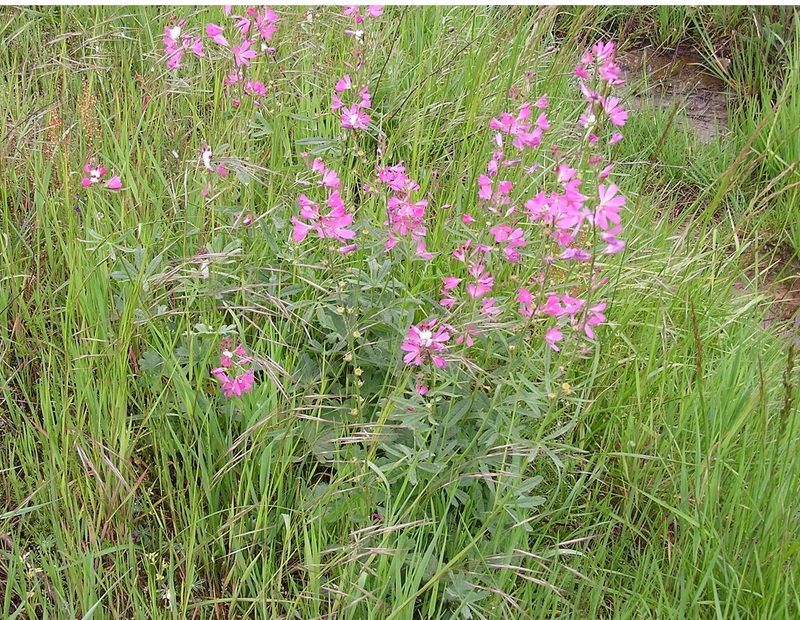 It will spread by rhizomes, which develop into clumps over time. 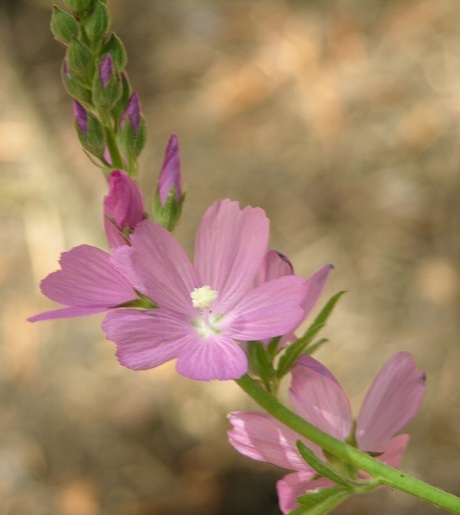 The plant will reach 1-2’ tall with palmate lower leaves and deeply cut foliage along the stem. 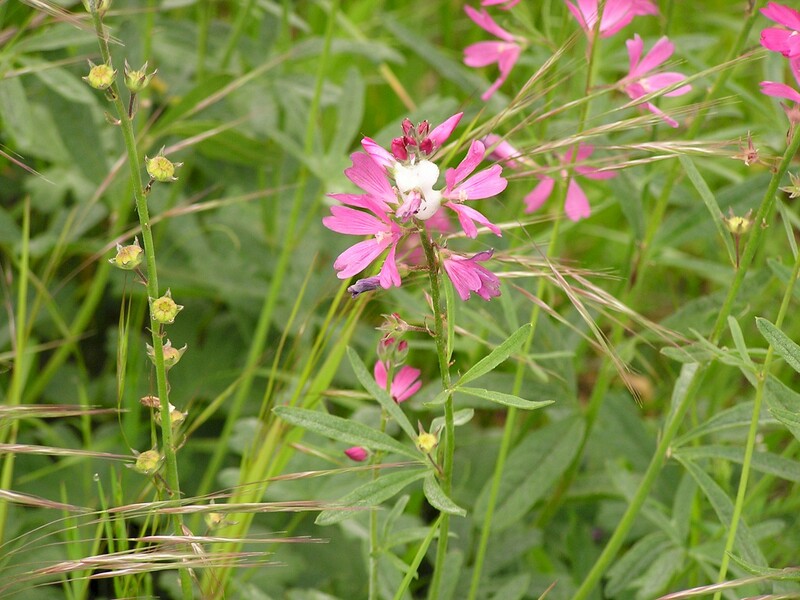 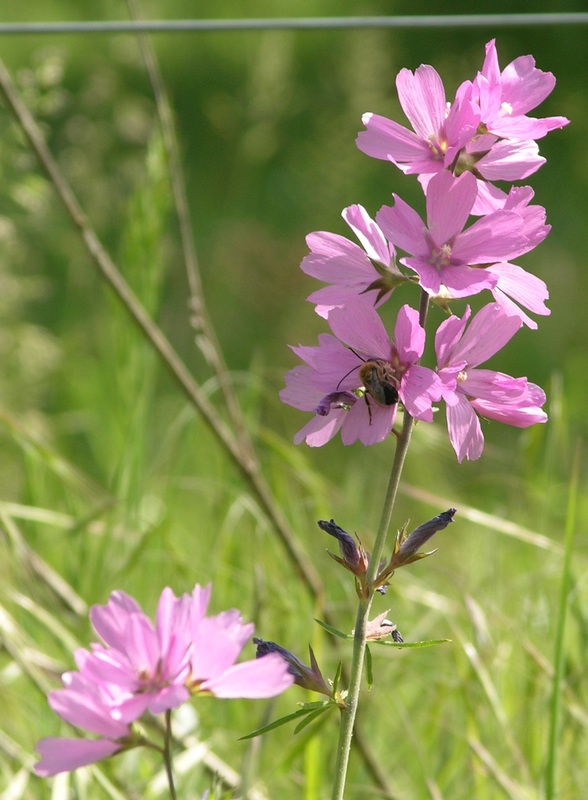 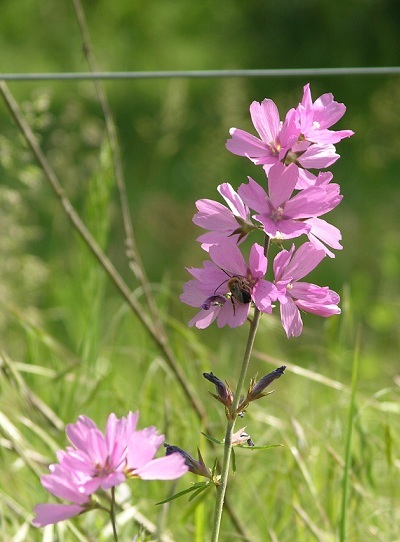 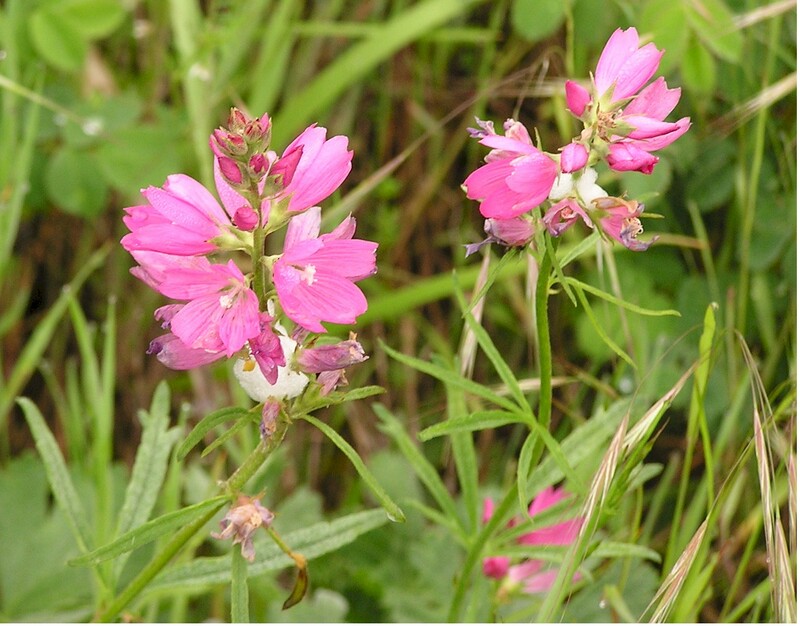 This is a wonderful wildflower for mild moist areas and will create an inviting habitat for butterflies. 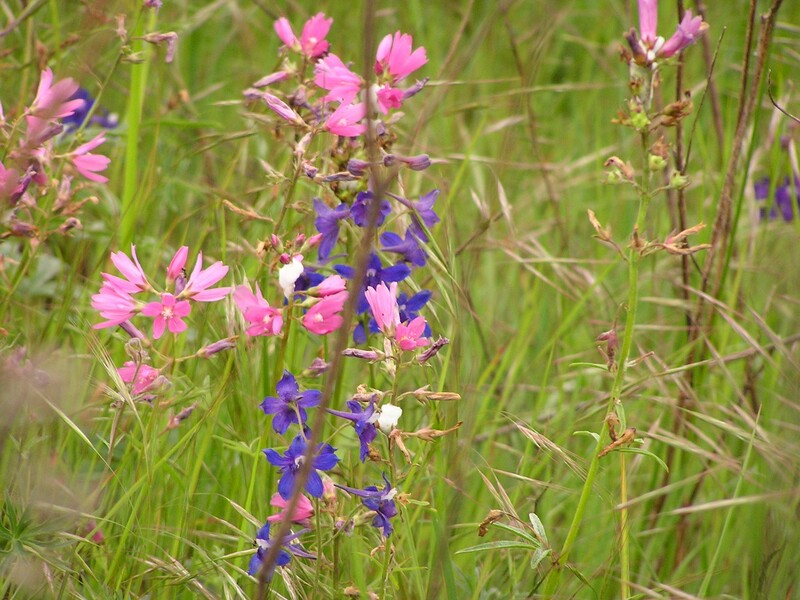 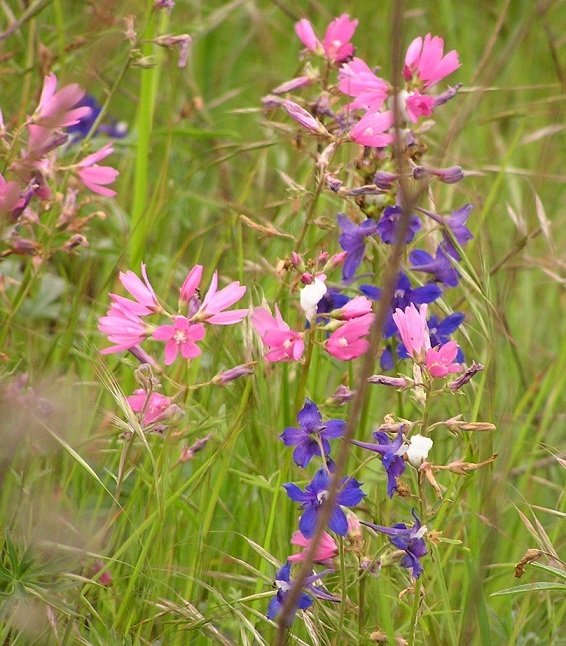 The sidalcea below left shows the colorful partnership formed with native perennial Delphinium menziesii (Western Larkspur).